I have just finished two weeks of a 2018 harvest internship at The Drift Estate. 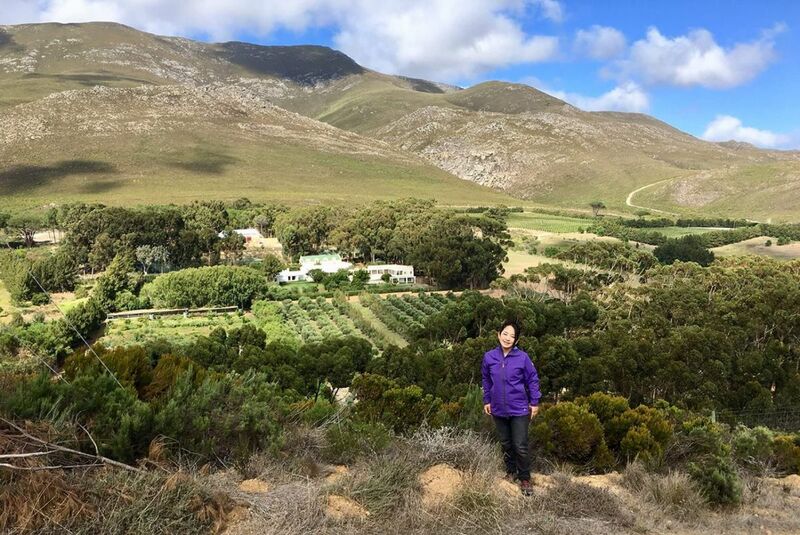 I am one of four women selected from over a hundred applicants, from all over the world, to join the Women in Wine program promoted by PIWOSA (Premium Independent Wineries of South Africa, of which The Drift Estate is a member). I applied because I wanted to know how to make wine. As a wine professional based in Hong Kong, I know how to taste and sell wines but my knowledge lacked practical experience. The reason I chose South Africa is the wines here, I feel, have great potential and I appreciate the PIWOSA initiative. My first visit to this country was in 2016 and I fell in love with the beauty of nature, the people and the wines. I have been interested in wines since my student days in France, for almost 25 years I have tasted wines from all over the world. South African wines attracted my attention. I think I have a good palate! 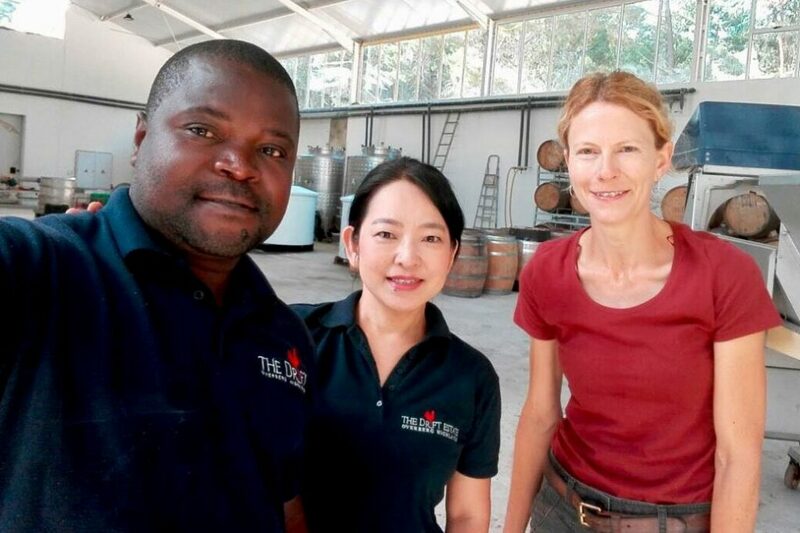 I joined the Drift Estate cellar team, consisting of Marlize Beyers, the winemaker and Enock Gumeni, the cellar assistant. My memorable 2018 harvest began on St. Valentine’s Day at their brand new cellar. 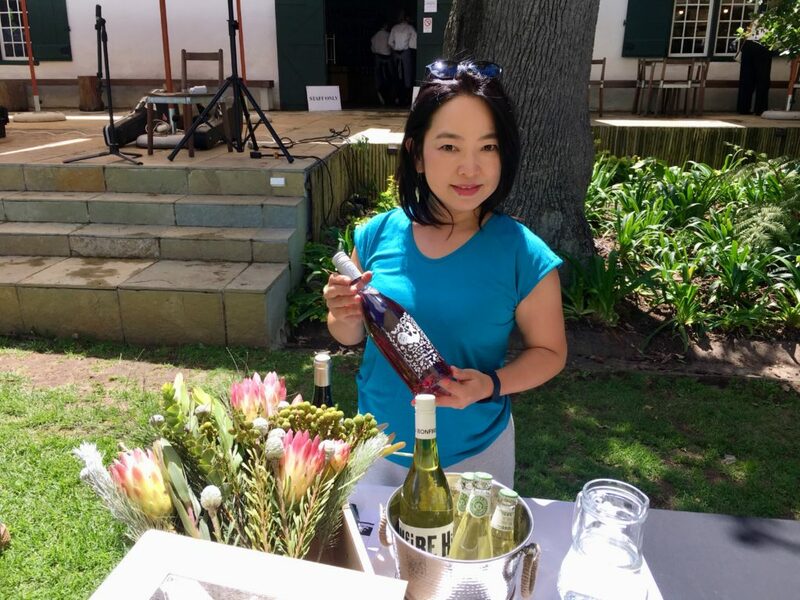 I also helped the sales team with a few tasting events in Cape Town during my stay. It was a real pleasure to work with all of The Drift Estate team and I would like to thank them for their great hospitality. Before my trip, people were telling this city girl, “Naoko, you are going to live in the middle of nowhere…” Now, a Japanese proverb came to my mind. “One eye-witness is better than many hearsays.” I fully enjoyed living and working on the farm and would have extended my stay if my family were not waiting for my return. The farm’s landscape is breathtakingly beautiful. The whole layout and homestead are also fantastic. I was wondering how it was possible to realise this charming retreat, well hidden in the Overberg Highlands. I will tell you a secret. The Jack family has truly good taste, I mean, not only a sense of taste, which is essential for winemaking but also of all five senses. They are a team of artists. I can only advise you to go to visit the farm and taste wines, smell the aroma of fynbos brought by the winds, listen to birds singing, touch grapes and soils in the vineyards, just before the sunset, if possible. Let me come back to the cellar work. As Marlize says, “winemaking is all about cleaning,” indeed most of my tasks were cleaning and sanitising. Tasks that are in fact essential for healthy fermentation in order to avoid the intervention of any bad microbes or bacteria. Cellar work is a physical labor although you do need some math skills. You constantly need to lift heavy machinery and tools. You also climb up ladders to fermentation tanks. 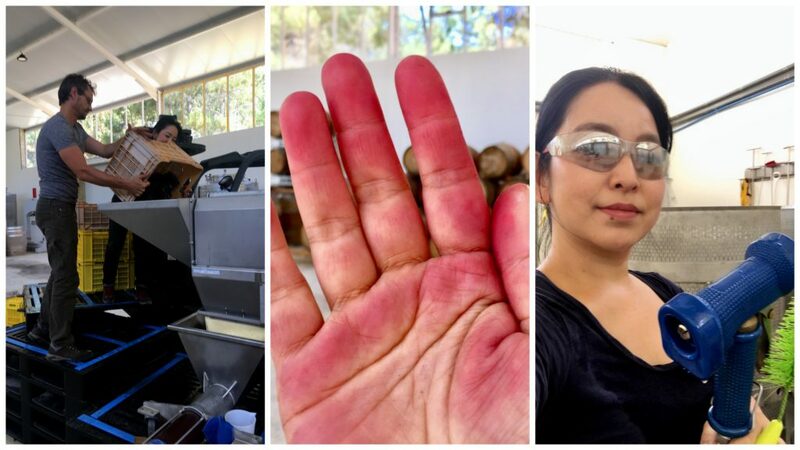 If you sort grapes or treat red wines, your hands get really dirty. A winemaker’s aim is to bring out the charm of grapes, given to us by Mother Nature, to enjoy wines months or years later. Every vintage is definitely different. I was calling myself, an international flying cleaning lady. I came from very far away to clean the cellar. I can hear you say, “Ag, shame!” Not to worry. Although I learned winemaking is a hard work, my love toward wines grows deeper. I am definitely willing to come back to join another harvest and to taste 2018 vintage wines that I helped craft – a little bit. Enjoy your Beautiful Wines!